Gunzberg was a not a planet i would like to ever visit again. The whole planet was mainly tropical rain forests and deep swamps. I had been here only a few weeks now, even though most of the other Mech Pilots had been here for years. I was transferred here as part of my contract into The 1st Gunzburg Mechanized Infantry. We worked along side The Gunzburg Eagles who were considered the "Top Dogs" of this swamp land. Tor Miraborg was in Charge of every move we made, even though i had not seen him with my own eyes once within the two weeks i had landed on this planet. The Mech bays were buzzing and busy with all the mechanics making last preperations to the giant Battlemechs. I had been assigned one that morning. It was December. December 3051. A year i will never forget. The Cockpit of my Grizzly smelled of battle. The weapons had been refitted recently and the reddish brown paint job lacked any sort of luster. This was my mech though. And not many pilots had ever had the chance to pilot a Grizzly since production ceased in 3013. The weapons on my Grizzly included a Omega 12-Coil Gauss Rifle, Type X "Short bow" Lrm 10 Launcher, Large Pulse laser, medium pulse laser which were Kolibri Delta series. And lastly a small pulse laser. The weapons blinked on my control panel as the mech powered up. My HUD blinked into a neon green. My surroundings were now altered with electronic signals and numbers. Along the right side of me, were 4 more MechWarriors. A Dragon with a darkish brown paint instead of my faded green. Then to the right of him stood two Medium Crabs. An odd design to say the least. But they were good solid mechs. Loaded with enough Lasers to melt anything in its way. And the last mech in line was a Mauler. A giant among giants. Carrying 4 Sets of Autocanons. It towered over all of us. Its Grey and red paint gleaming in the mechbay lights. A voice came through the comms. "Alright boys and girls this isnt anothet test. We have minimum resources and need to defend our home. As of this morning we have word that The Clan Wolf have succesfully invaded Gunzburg. They hit our 1st Gunzburg Armored Regiment Barracks and Bays this morning. They didnt see it coming. And from the reports we are dealing with some High tech stuff." I felt the lump in my throat grow larger. I clicked open my comms. "What about the Gunzburg Eagles Captain? Are they coming with us?" " The Eagles will be waiting for you at your designated waypoint. Once you meet up with them you will provide support and try to drive the enemy back. This is it. We march out now!" There were only five of us. The Two Crabs lead in front with Myself closing in behind them. To my left was The Dragon and behind him was the Mauler. The forests of Gunzburg were thick and unforgiving. So many places to hide...so many spots for an ambush. Both of the Crabs were scanning the surroundings with heat vision while the rest of us watched ahead. 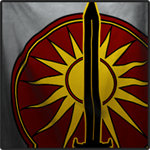 "We have got some heat signiatures ahead. Everyone stay alert"
"Roger that. I see it. 600 Meters North...looks like smoke or a small fire...lets proceed forward. Crab 1 Take the right....Crab 2 fall in behind"
My eyes scanned every single direction until we reached the smoldering fire. It was a destroyed battlemech. A Raven or what was left of it. The Legs had been blown off and the Cockpit was melted into the earth. Dark black smoke pumed from the wreckage. "One of ours?" Said Ray. Ray was the Mauler Pilot. A big man with a big mech. I looked for any sort of insignia or paint scheme but could find nothing due to the carnage. "Unless its with the 2nd Gunzburg Regiment then im not sure. I didnt think they had any Ravens." I heard a blip on my radar...then another. A barrage of Srm's came flying by and exploded into a tree next to my Grizzly. The Crabs leapt off and circled our perimeter. The Dragon started firing its Dual AC/5s towards the incoming mechs. DAKKA DAKKA DAKKA DAKKA. My HUD lit up with warnings and red blips. Two of them circling our lance. I powered my Gauss rifle and held it waiting for the chance to fire. I caught the glimpse of one of the light mechs speeding through the forest. The Mauler lit up the trees with everything it had. His Autocannons tearing down giant trees and ripping holes into the earth. Ruby laser beams bounced off his armor. Perfect streams of lasers picked at all of us. I scrambled for a lock with my Lrms while still holding my Guass rifle. I walked my Grizzly backwards slowly gaining more meters between the enemy and myself. The Two Crabs gained the first lock. A bright blue white stream of energy ripped through the side of a giant tree splintering the wood and slammed into my right torso. Warning lights flashed within my cockpit. Sweat dripped from my brow as I locked onto one of the enemy Pouncers. The mono-tone voice within my cockpit spoke two words. "Target locked"
I let loose my Lrm 10 launcher and one single burst from my Guass rifle towards the enemy. Four hundred meters towards my right sparks ignited the air. My missiles arched then turned downwards following the Pouncer who i had just hit. Loud explosions thudded into my ears. James was the Pilot of the Dragon and he was right next to me. I could see the smoke flowing from where i was positioned. I connected my crosshairs directly on the only visible part of the Pouncer, Its head. The high powered Gauss Rifle echoed through the forest and the Pouncer fell to the ground. Ray marched towards my direction with the Crabs following behind. "Thats a negative. He must of taken off. But Im not sure how far it got. I messed him up pretty bad. Took one of his arms off and his CT is fried" Ray said. "Lets move on. We need to meet up with The Eagles." I said. Although no word had come through. My fears were that the worste had happened. C omms with The Gunzburg Eagles were down. And the only reason they would be down would be that there were no more Eagles. But thoughts like that had to be put aside.